In this series, I chose music as the symbolic language to develop one of the themes most present in daily life: the dialectic between weight and lightness. Subtle and difficult to render visible, this tension coils around our lives, sticking to certain points, and weighing our existence down with a heaviness that makes it ultimately unsatisfactory and distressing. Lightness is not about superficiality but the never-ending task of casting off weight, of loosening the shackles which slow us down and take up space in the way we organize our time, our relationships at work and with our partner. 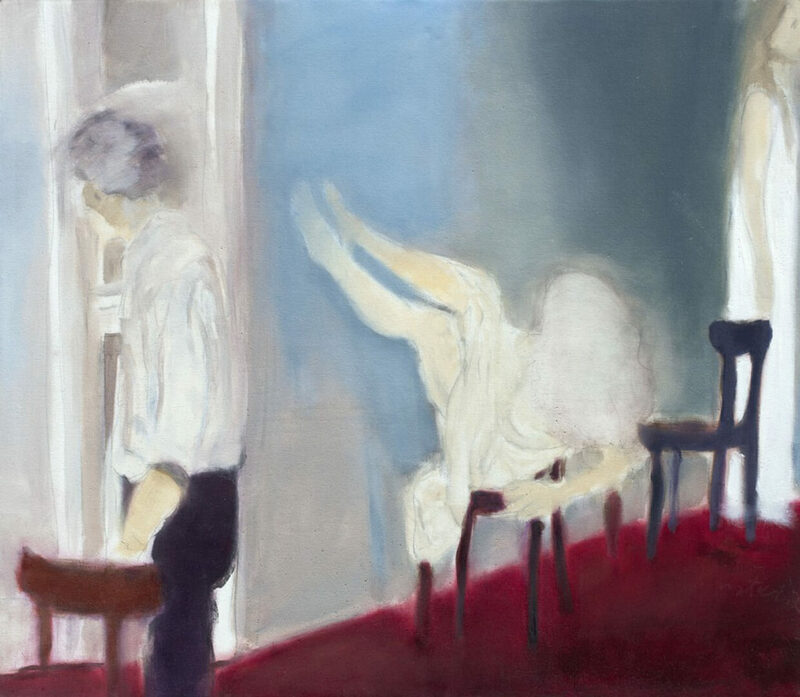 The figures are “on the edges” or “leaving the picture”, meaning that they do not have a defined space, they are escaping from the frame, or leaning on it, they speak of – or on – the edge, trapped within the weight, yet seeking out other spaces as revealed by the gestures and marks made by that double register of life within and without.